Jesus ≠ Meh, an excerpt from "Being Lutheran"
In the following excerpt from his forthcoming book, Being Lutheran, author Trevor Sutton talks about Jesus saving the world from a “meh” mentality and what that means for us as followers of Christ. Meh. This word is often accompanied by a shrug of the shoulders or a sleepy yawn. It is an expression of apathy or boredom. Our culture loves to describe everything as meh. It is our new favorite word. Everything from riding the bus to swimming with the sharks fits into one beautifully blasé word: meh. What did you do last night? Meh. Are you having a good day? Meh. Do you want regular or diet? Meh. Have you tried the new social media site that posts all your internal dialogue? Meh. What do you think of the new smartphone that turns into a hoverboard? Meh. Did you hear about that guy named Jesus who came back from the dead? Meh. Nothing impresses us anymore. Fascinating innovations may catch our attention, but they will not get us off the couch. Global tragedy will cause us to stop for thirty seconds between snapping selfies. Six-figure student loans are cause for only moderate concern. Straight-faced and unimpressed, we hear about the cure for horrific diseases. Cat memes might be the only thing our culture truly finds exciting anymore. Lukewarm is the wave of the future. We are lukewarm about new technology, global strife, and advancements in medicine. There will always be some new invention with a little more shine and sheen. Tomorrow’s headlines will tell of a greater sadness and sorrow. There is no point in getting excited about today when there is something new coming tomorrow. Christians have developed a meh mentality. Apathy and boredom have extinguished the fire in our bones for Jesus. Your neighbor does not know Christ and His forgiveness. Meh. Jesus, Buddha, and Steve Jobs were really good teachers. Meh. I call myself a Christian, but I do not know what is in the Bible. Meh. I call myself a Lutheran, but I think that just means my family came from Northern Europe. Meh. Jesus Christ died to forgive your sins. Meh. Jesus delivered mankind from meh. Jesus nailed boredom and apathy to the cross. Lukewarm beliefs died in the tomb after the resurrection. Jesus turned tepid tax collectors and fearful fishermen into martyrs. Shy shepherds and misguided Magi became evangelists. Worried widows and confused centurions were led to confess the name of Jesus. And even before He was born, Jesus was already saving the world from apathy. Mary met Jesus through the angel Gabriel. She was greatly troubled by his visit. She stopped texting her friends and listened intently to Gabriel. He told her that God had found favor with her and that she would give birth to a child. She was to give Him the name Jesus. Jesus has called you to follow Him. Calling yourself a Christian means that you have been called by Jesus to live out your faith. …When Christ calls a person to follow Him, He bids that person to come and die. The death that comes with following Jesus might be like that of the disciples, who had to leave home and work to follow Him. Following Jesus might lead to a death like Luther’s when he had to leave the monastery and go out into the world. Following Jesus may even lead to physical death through martyrdom. Either way, following Jesus means being called by God to die to our old self and being made alive in Christ. Jesus invites you to come and die. Jesus calls you to die to yourself and be alive in Him. Faith replaces your old heart with the heart of Jesus. You have new life in Christ. Lukewarm is over in Jesus. His heart thumps with eternal life. His life burns to do the Father’s will. His actions burst with love for neighbors. And His heart is your heart. His life is your life. His actions are your actions. Jesus never uses the word meh. And, in Christ Jesus, neither do you. Selected paragraphs from chapter 2 of Being Lutheran: Living in the Faith You Have Received, pages 29–46 © 2016 by A. Trevor Sutton. 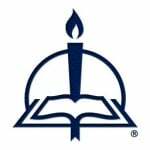 Publishing by Concordia Publishing House. All rights reserved. 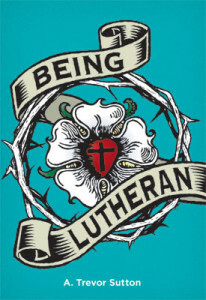 To order Being Lutheran, please contact CPH at 800-325-3040 or visit www.cph.org.